It had been more than two years since young John Mark had deserted him and Barnabas in Pamphylia on their first missionary journey to Asia Minor (Acts 13:13), and now Barnabas wanted to bring John Mark, his cousin, with them to revisit the new believers in those cities. Paul refused. He still burned with anger over the desertion. Maybe the journey had been too difficult and hazardous for John Mark; maybe he had been homesick for his mother, Mary, who was back home in Jerusalem (Acts 12:12); or maybe he hadn’t liked how the team had gone from “Barnabas and Saul” to “Saul and Barnabas” to “Paul and Barnabas” (Acts 11-15). Whatever John Mark’s reason had been, Paul didn’t want him on the next mission journey. Paul and Barnabas argued over this, and when they could not come to an agreement, they decided to go on separate journeys—Paul would take Silas, and Barnabas would take John Mark to minister on the island of Cyprus. Barnabas’ decision to give John Mark another chance wasn’t just because they were cousins (Colossians 4:10). It was Barnabas’ nature to encourage people. In fact, his real name was Joseph, and he had developed such a reputation of coming alongside people and encouraging them, that the Christians in Jerusalem called him Barnabas—meaning “Son of Encouragement” (Acts 4:36). And it had been Barnabas who had encouraged the apostles to accept the newly converted Saul (later called Paul) into Christian fellowship and ministry (Acts 9:26-30), even though Saul had persecuted Christians before Jesus dramatically changed his life on the road to Damascus (Acts 9:1-9). We are not told what changes John Mark went through during those two years after he returned to Jerusalem, but it is likely that Barnabas might have counseled and mentored him and might have seen a new level of maturity in him that convinced Barnabas to give him another chance. John Mark went on to work with the apostle Peter and heard Peter’s first-hand account of his life with Jesus (Acts 12:12-13; I Peter 5:13). John Mark wrote the Gospel of Mark, based largely on Peter’s first-hand account of the life and death of Jesus, but also on his own personal experience with Jesus. Many scholars believe that John Mark was present with Jesus in Gethsemane and was the young man who ran away naked after the mob ripped off his nightshirt when they came to arrest Jesus (Mark 14:51-52). John Mark later proved invaluable to Paul as his assistant and companion in ministry, especially during Paul’s prison confinements (Colossians 4:10; 2 Timothy 4:11; Philemon1:24). Had Barnabas not given John Mark a second chance, the Gospel of Mark might not have been written, neither might the Gospels of Matthew and Luke, for they based much of their material on Mark’s Gospel. How different the New Testament and Christianity might be today without those three gospels—for countless millions of believers might not have come to faith in Jesus Christ throughout these two thousand years! Are there John Marks in our lives—boys and girls, and young men and women—who have failed and disappointed us? Can you and I be a Barnabas to them? Are we willing to encourage and mentor them despite their previous failures? Giving them additional chances—along with our mentoring and encouragement—could change their lives completely. And, like John Mark, the lives and contributions of these young people could impact our society and world in significant ways in years to come. You and I might be the difference between a young life failing or succeeding, so let’s not give up on them. Remember, we have been the beneficiaries of second chances—the most important one being the grace and forgiveness of God through Jesus Christ. 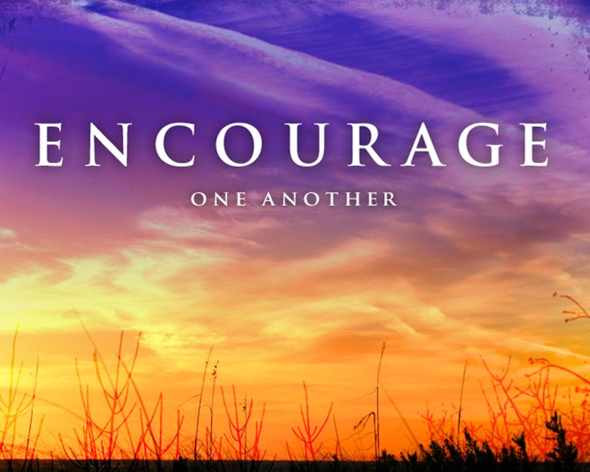 So, be a Barnabas and ”encourage one another daily, as long as it is called Today, so that none of you may be hardened by sin’s deceitfulness” (Hebrews 3:13, NIV, ©1984).